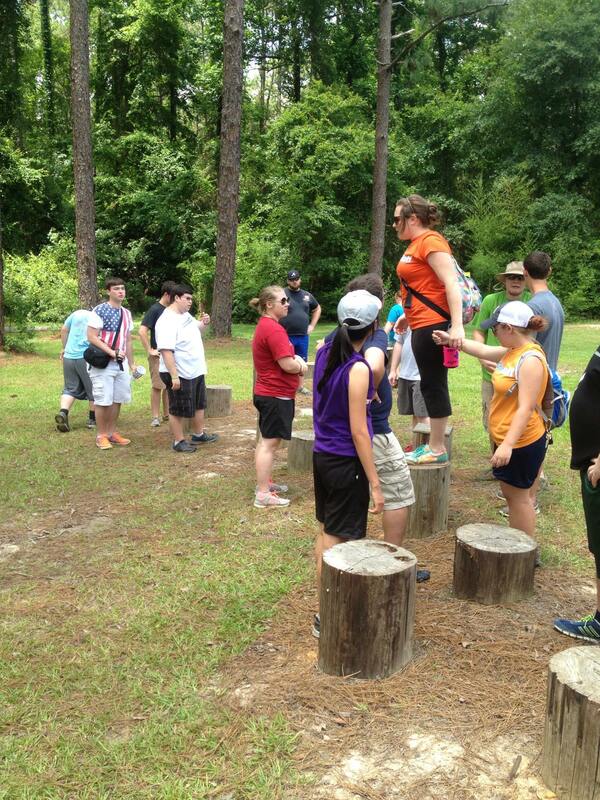 the Low Elements Challenge Course and the High Elements Ropes Course. (3) a sequenced series of low elements. Initial activities frequently involve the use of simple equipment such as soft objects and balls, hoola hoops, bandanas, string, rope, poles, trees, stumps, and other hardware. The purpose of the low elements activities is focused on developing trust, team building, communication skills, cooperation, leadership development, and teaching Biblical truth. 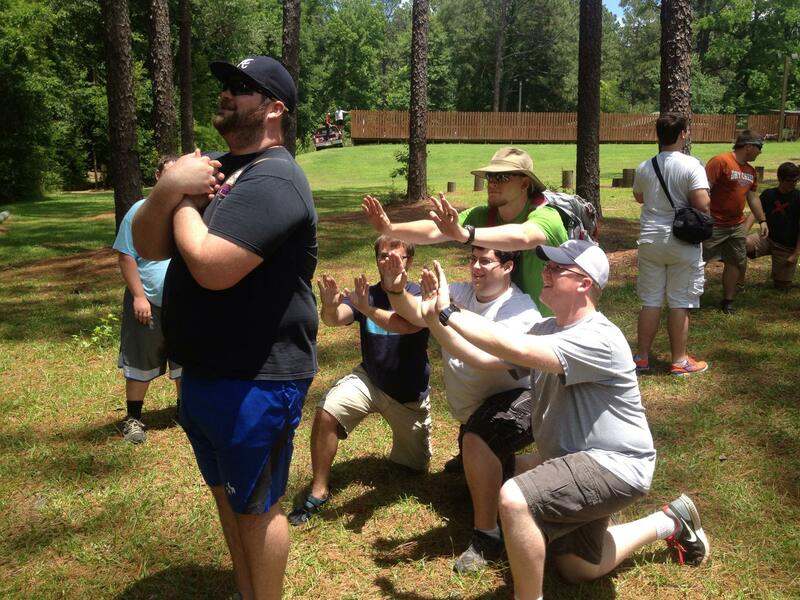 Our staff will strive to make the experience enhance and reinforce your retreat or camp focus. The “high elements” consist of a series of elements built of poles, wood, aircraft cable, cargo netting, and synthetic rope. 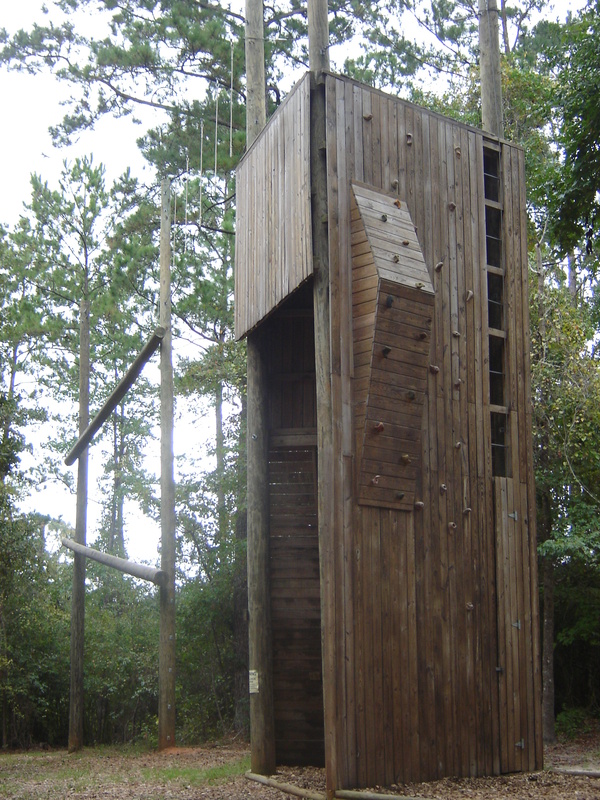 A multi-faced climbing tower with artificial climbing rocks on wood surfaces is also incorporated into the High Ropes Course. The “highs” are approximately 30 feet above ground. Participants are required to wear a helmet and safety harness. 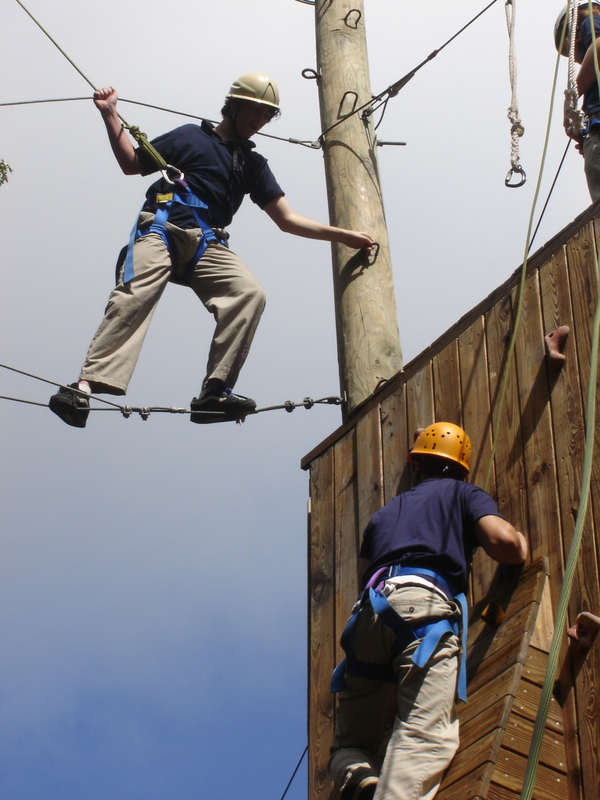 Each participant is secured into a “belay”, or safety system of ropes, to prevent them from falling to the ground. The Low Elements Course is helpful in preparing an individual for the high elements experience. We recommend that groups sequence from low activities to the high course activities. The primary purpose of the high course is to present an individual challenge. Overcoming fears, learning to trust, and building self-confidence are the focus of these activities. 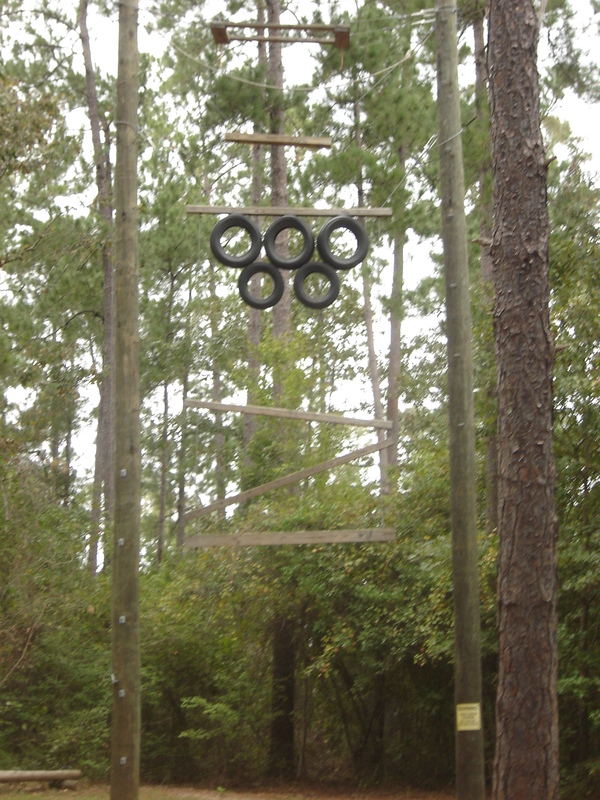 The ropes course is available year round. The greatest benefits will be realized with persons who are in adolescence or beyond. The ideal group size for the low challenge activities is 12-15. We normally can accommodate several groups of the same size – just realize that you may need to split your entire group into smaller groups. Large groups of 60 or more are not feasible to take through the low or high programs in one day. It may be possible to facilitate a larger group if several days are scheduled in order to divide it into smaller groups. Staff availability must be considered. Facilitators – We have trained staff to lead your group. Our staff members are required to pass a professional training program before leading a group through challenge course activities. If your group numbers change from your contracted number, please notify us in order that we can adequately staff the activities. You will need to progress through low challenge activities in Phase One before moving to Phase Two activities. When a group is too large (max. 60) we can run two groups simultaneously by splitting them into 4 smaller groups. 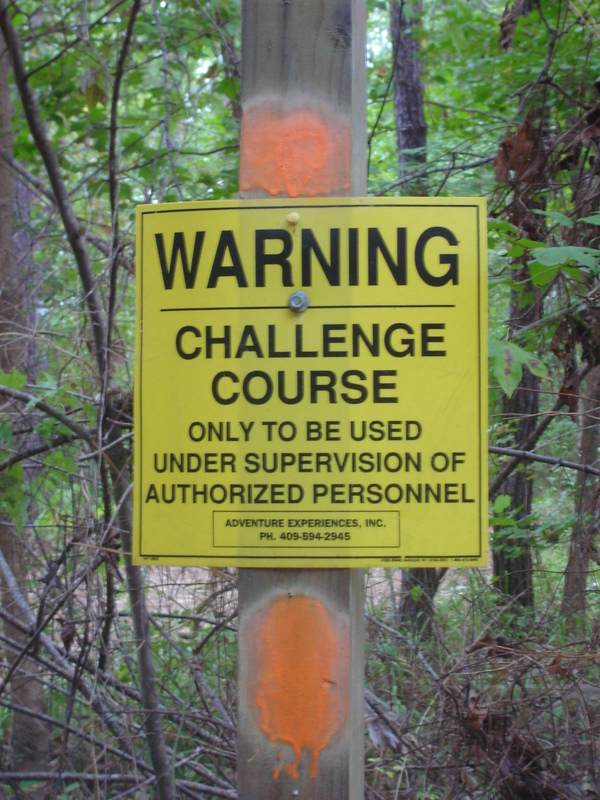 All participants are required to have a completed and signed Assumption of Risk Form submitted to the Challenge Course Director before participation will be allowed. Participants under 18 years of age must also have a parent/guardian signature on the form. The blank form will be mailed or faxed to your group leader when the challenge activity is scheduled. It is very important to wear clothing that is best suited for challenge course activities to prevent injury, accidents, and embarrassment. 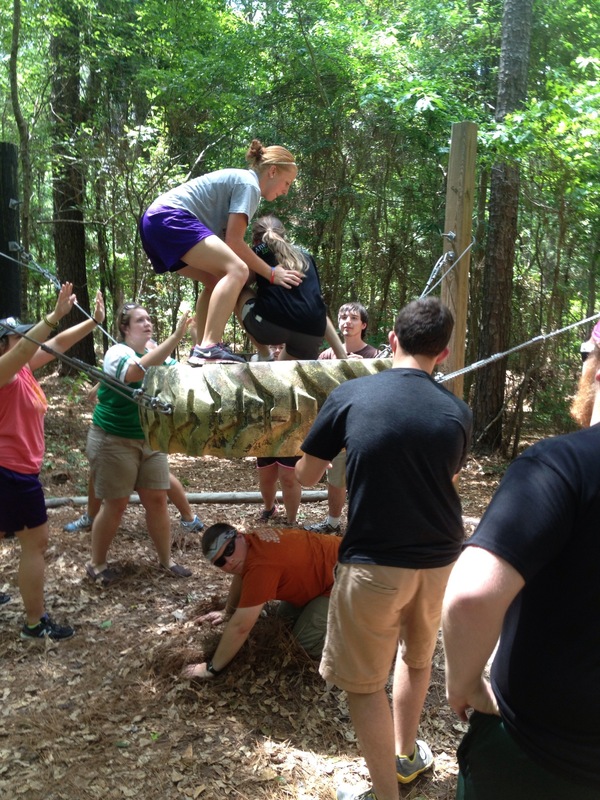 Leaders, please go over the Challenge Course Clothing Guidelines with your group so that they will know the best way to dress for these fun activities. Because Dry Creek is a Christian camp, and there may be other groups present, those immodestly dressed will be discreetly asked, by a camp leader of the same gender, to change clothing. Group leaders will be contacted first, whenever possible.